Aigiali (Egiali). 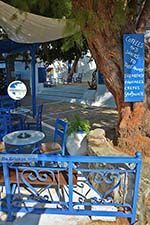 Aegiali is located in the northeast of the Greek island of Amorgos, in the bay with the same name. 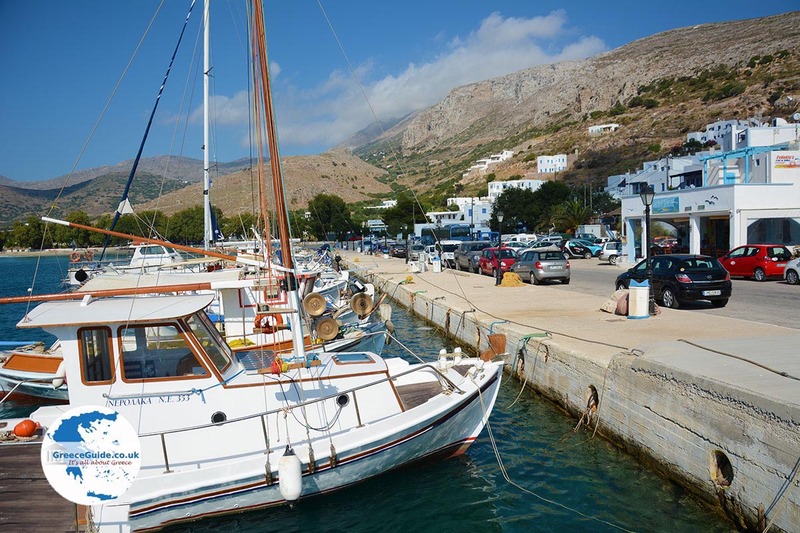 The village at the port is called Ormos Aigiali. Several beautiful beaches and the second largest port of the island are located here. 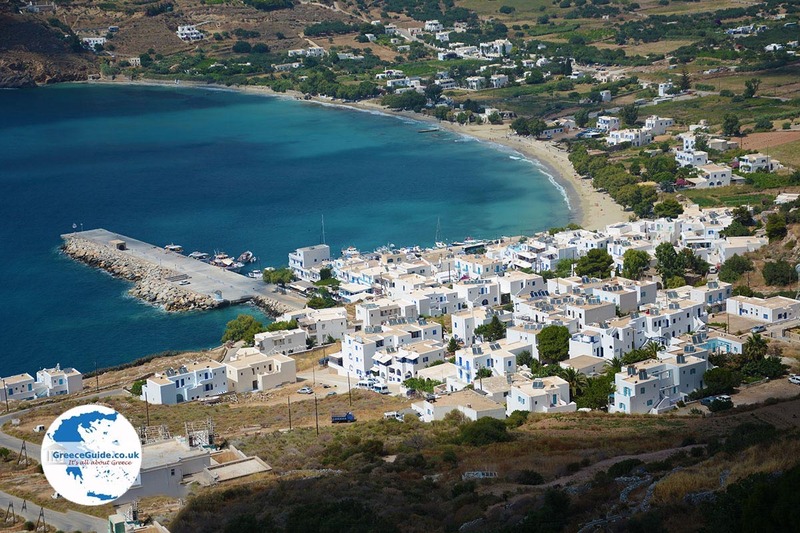 Ormos Aigiali, together with Katapola, are the most popular tourist resorts on the island. At the beach you can see the ruins of ancient Roman baths. 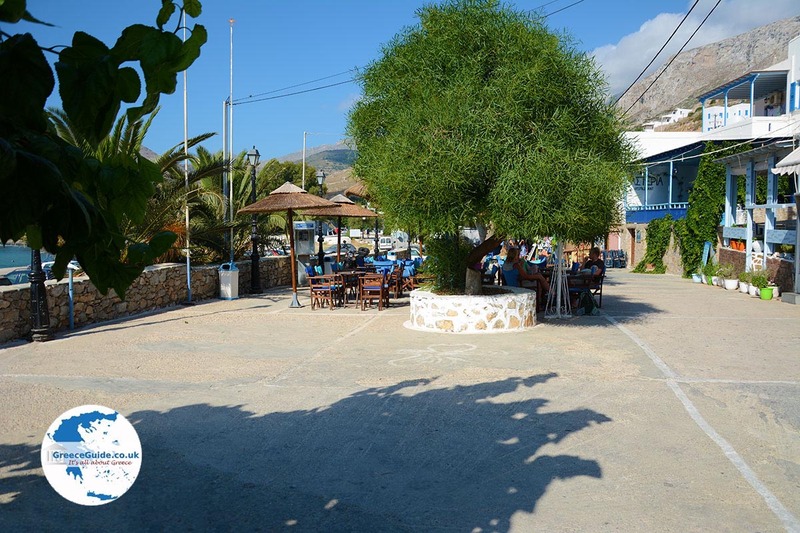 Ormos is one of the most crowded sites on the island in summer. Psili Ammos, is located here. 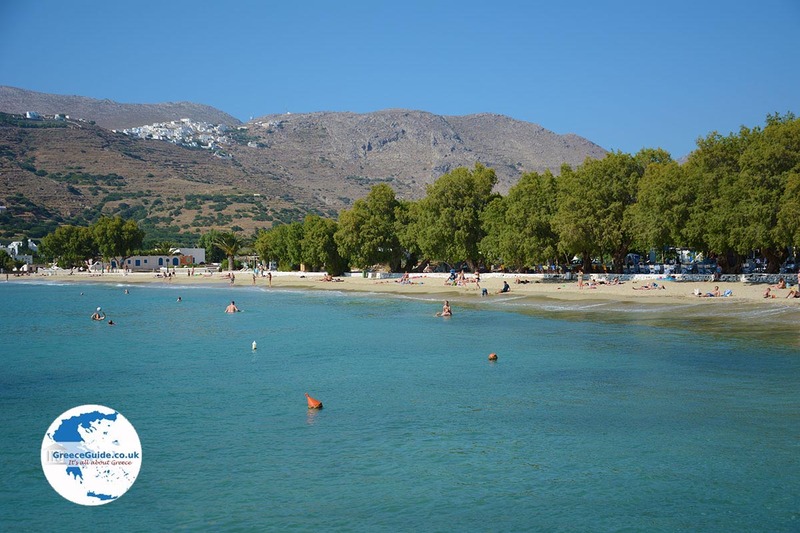 According to most tourists, Psili Ammos is the most beautiful beach on the island. 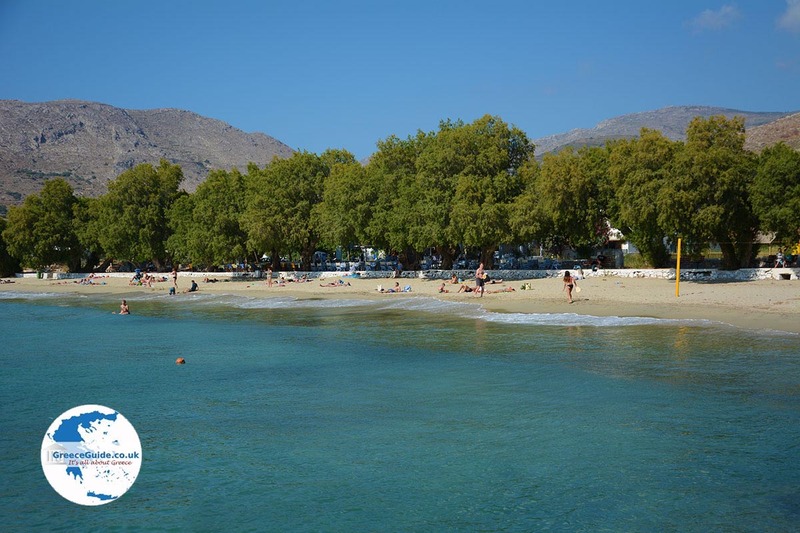 Nearby is another nice beach, Levrossos. 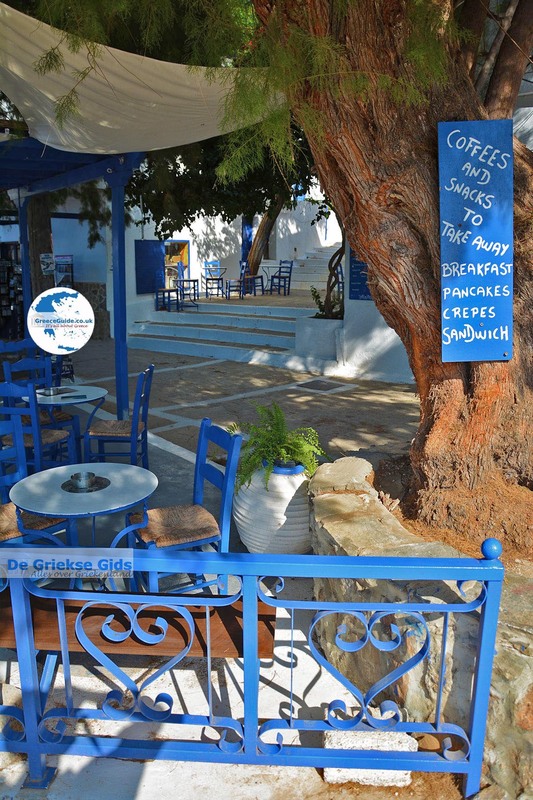 There are lots of restaurants and cafeterias in Ormos Aigiali. 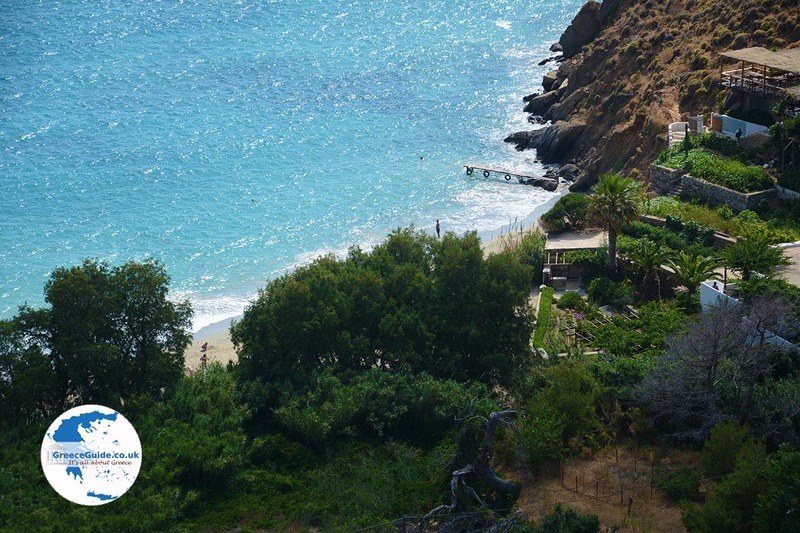 On the hills around the Bay of Aigiali, are the typical Cycladic villages of Tholaria, Langada and Potamos. From these villages you have a beautiful view of the bay and the sea. Take a pleasant walk through the alleys of Tholaria. There are several nice cafes and restaurants in Tholaria. There are also several museums. The same can be found in Langada. It is a scenic drive to Langada, culminating in magnificent panoramic views. Langada is situated on the slopes of a steep mountain, but is easily accessible by car or motorbike. Equally beautiful are the villages Tholaria and Potamos. 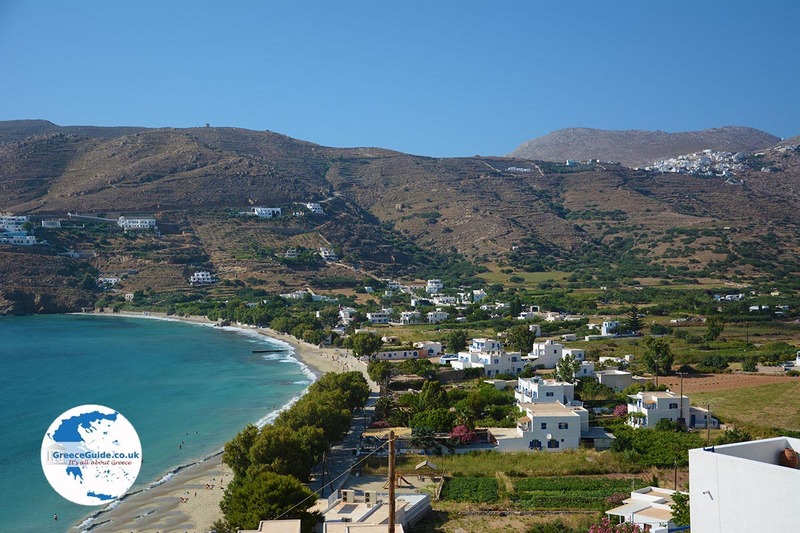 From the village of Potamos you have views over the islet Nikouria. The main attraction at Aigiali is the ancient Acropolis on the hill called "Vigla," at Tholaria. Interestingly, the church of Agias Triada, built against a rock, was originally used as a fortress to protect against attacks by pirates. Other interesting sites in the region are the church of Panochoriani, the abandoned village of Stroumpos and the gorge of Araklos. The feast of Agioi Anargiri is celebrated in Tholaria on July 1. The festival features food, drink, traditional music and dance. 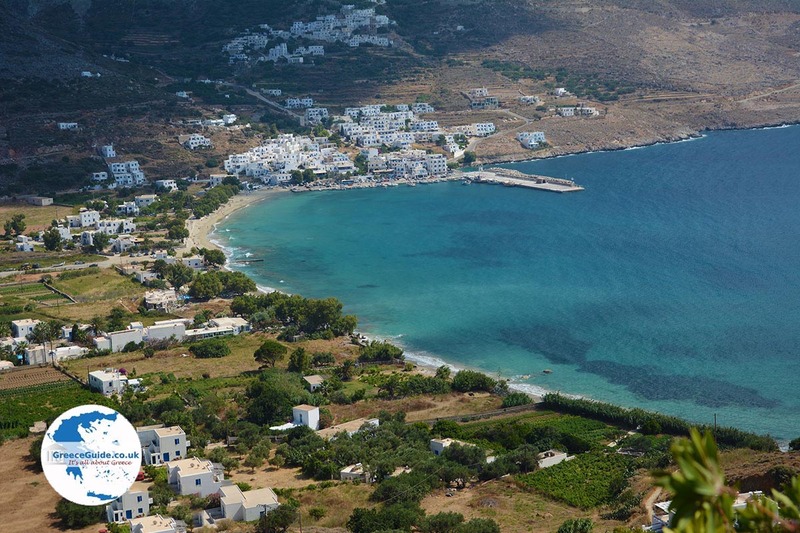 Amorgos: Where on the map is Aigiali located?